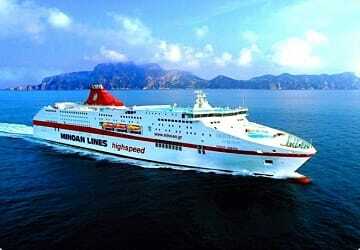 For more information, please visit our Ferries from Athens to Crete page. The Piraeus Chania ferry route connects Athens with Crete and is currently operated by 2 ferry companies. The Minoan Lines service runs up to 7 times per week with a sailing duration of around 6 hours 30 minutes while the Anek Superfast service runs up to 7 times per week with a duration from 9 hr. So that’s a combined 14 sailings on offer per week on the Piraeus Chania route between Athens and Crete. Compare now and get the best fare at the time that you want to travel. Prices shown represent the average one way price paid by our customers. The most common booking on the Piraeus Chania route is a car and 2 passengers. Chania, the second largest city on the Greek island of Crete is a city that has hosted many different civilisations during its history. The city is built on the area of Minoan Kidonia, at the end of the Homonym Gulf between the Akrotiri and Onicha peninsulas, and was the former capital city of Crete between 1847 and 1972. Today it is the second largest city on Crete after Heraklion and is the capital of the Homonym prefecture. The Old Town's maze of alleys and streets are lined with beautiful Venetian mansions, churches, fountains and historical monuments which are all popular with visitors. The Venetian port lies at the heart of the old town and is where visitors can still see Venetian buildings sit alongside Turkish buildings that were built later. On the east of Palea Poli is Splantzia district which is built on the site of the former Turkish district and is where you will find Aghii Anargiri Church, which is the only Orthodox church which had received permission to operate during the Venetian and Turkish occupations of the island. Also in the area is Sintrivani Square. The Neoria district of the city is where the former port was located and is also where Venetian shipyards were located in the 14th and 16th centuries. From the port, ferry services connect Chania to the port of Piraeus, the Cycladic Islands and to the Dodecanese Islands.